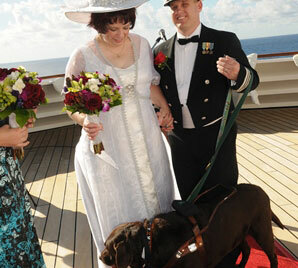 Since 1929, The Seeing Eye, Inc., has helped people who are blind discover the exhilarating experience of traveling with a Seeing Eye® dog. At The Seeing Eye, the world’s oldest guide dog school, we breed, raise, and train the world-famous Seeing Eye dogs, and train people who are blind how to use and care for these remarkable dogs. 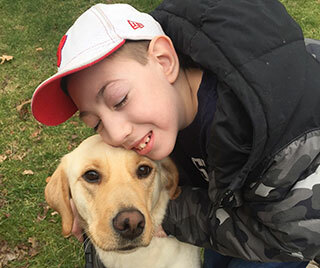 Thirteen times a year, as many as 24 students at a time come from across the United States and Canada to our campus in Morristown, N.J., and spend 3 ½ weeks training, or 2 ½ weeks for a returning student, with their new Seeing Eye dogs. Our students range in age from 16 to senior citizens, their home environments may be rural or urban, and they may be homemakers, volunteers, or judges. But they all have this in common: They are motivated by a sense of independence and armed with the knowledge that Seeing Eye dogs will provide an extra edge to attain success, however they may choose to define it. The Seeing Eye is a 501(c)3 non-profit organization, funded by donations from individuals, foundations, and corporations. Our students have paid the same nominal fee since the 1930s. Join us in providing those opportunities for success. 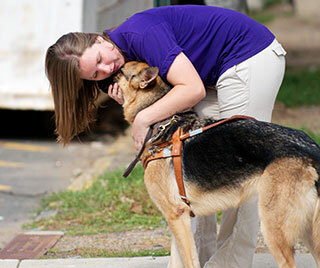 Find out about careers at The Seeing Eye, learn about ways to volunteer, or how to donate. 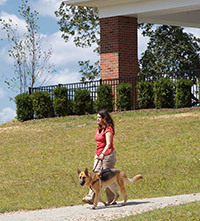 You are welcome to visit The Seeing Eye campus. 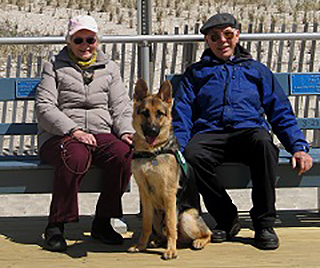 The difference The Seeing Eye makes in the lives of people who are blind can best be demonstrated by the graduates themselves … people who are living their lives – some ordinary and others not-so-ordinary – enhanced by their daily experiences with their dogs. We strive to make constant improvements to our program, listening closely to what all our students have to say during exit interviews at the end of class and in surveys that take place several months after they return home.